Old Oom Ben Kromhout has been dying for a long time now. Gertruida once said that one mustn’t pity people like this; although the lingering shadow of death may be upsetting for everyone concerned, the person at the centre of it all enjoys the singular privilege of saying goodbye, sorting out personal and financial issues and making peace with Life and God. Still, to see the old man wither away like he did, makes one doubt the statement. Perhaps Gertruida should have set a time frame to her statement – a three-little-bears clause, saying it shouldn’t happen too fast or too slow, but just right. 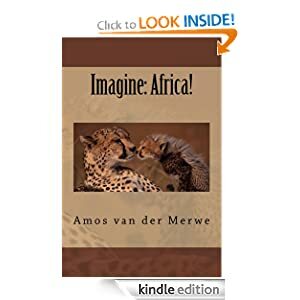 Living – and dying – on his farm Kromdraai, Oom Ben used to be an example of how one should integrate the reality of this world with the belief in the next. 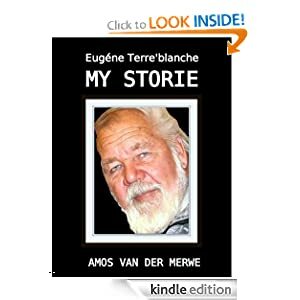 He applied his vast knowledge of the Old and New Testament to the way he lived, the hardships of the Kalahari and the way his wife left him for that travelling salesman, that Philistine, Frederik Kotze. “We are but like the grass of the fields,” he said at the time, “here today, gone tomorrow. And if a Kudu came around and ate it, then the grass won’t see tomorrow’s sun. And who, do I ask you, directs that Kudu? Not me or you,” he said as he swivelled his eyes heavenward, “not me or you.” And he’d smile his peaceful smile and say that forgiveness is the answer. No wonder then, that he was the head head elder in the little church in Grootdrink, where he used to be a pillar of wisdom. The answers to all questions, he maintained, are there for all to read. Just open the Book, and you’ll find it, he always said. Gertruida now sits at his bedside, holding the terribly thin hand – almost transparent, it seems – as she watches the laborious breathing. She wonders what will happen to all the memories and knowledge the old man had stored in his brain. A lifetime of gathering knowledge and filing away facts – does it simply disappear into a void once we die? Gertruida, who knows everything, shakes her head. No, that is the final puzzle, the question we cannot answer at all. And what about the soul? 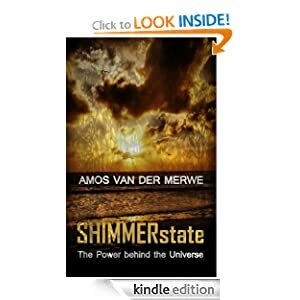 Yes, she’s read SHIMMERstate, and it makes some sense – but who really knows what happens when the blood stops carrying oxygen to the grey matter in our heads? The people with near-death experiences didn’t go all the way, did they? Even so, she thinks, the answer must be within the brain. That mushy collection of billions of nerves must be where the soul lives. And if it does, does that mean all brains possess a soul? She once asked Oom Ben the question. But, she asked back then, why do we find the same DNA in all living things. 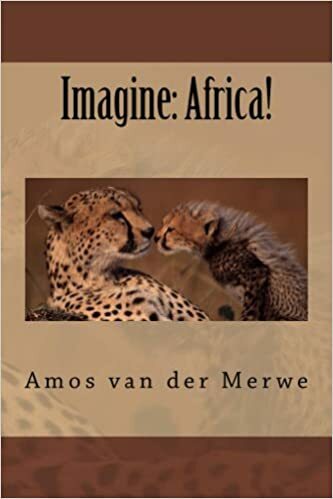 Yes, the codes for a Kudu and a Gemsbok and a lion may differ significantly from our’s…but isn’t DNA God’s signature? Isn’t that double helix a sign that everything was created by a single hand and that somewhere in the mysterious twirls of protein, the code for the soul is to be found? But, Gertruida said, it’ll be sad to believe there are no animals in heaven. What about Elijah, she asked, was he not taken to heaven in a chariot drawn by horses? Where did they come from? Oom Ben thought about this deeply, sipping his coffee from the saucer in the way he used to when he rummaged through the files in his head. And dogs and cats and cows? Her reverie is broken when the breathing becomes even more irregular. It is time, she knows. Oom Ben’s suffering is almost over. Taking the Bible from the bedside table, she starts reading Psalm 23. He says this clearly, in a young voice, so clear that Gertruida will remember it for many years to come. And it’s not only the clarity of the voice. No, not at all. There is something else: a joy, a celebration of sorts, that tells you he’s smiling even if you can’t see it. He’s silent for a while as his chest heaves up and down. Another pause to catch his breath. Now the chest stops straining so much. It doesn’t have to. It’s almost over. 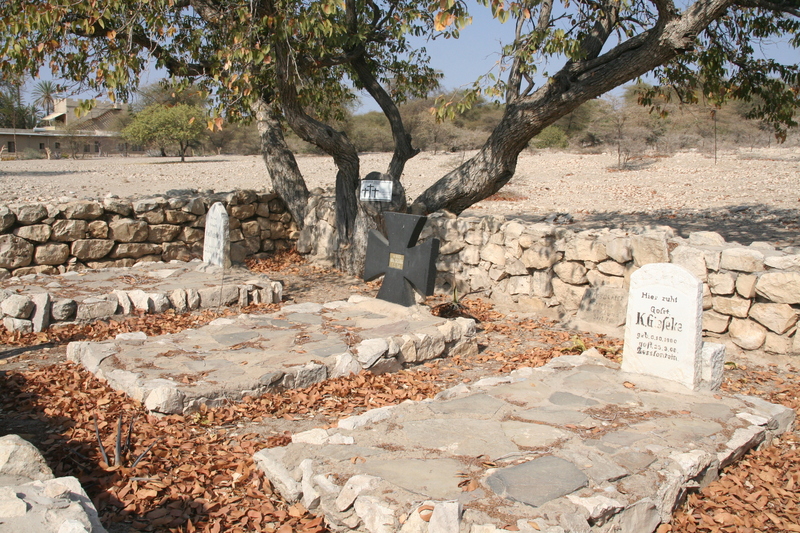 They bury old Oom Ben Kromhout in the little graveyard on his farm. It’s a dignified service led by Oudoom and attended by almost everybody in the district. They have come to pay their last respects to a man who lived as an example to them all. Some speak of how Oom Ben helped them through hard times, others remember a visit, a handshake, a smile. Kind words and tears mingle as the coffin gets lowered into the ground. And maybe it’s because of the tears, or perhaps the downcast eyes – but only Gertruida looks up when the group files past the open grave to throw handfuls of sand back into the hole while Oudoom intones the bit about dust to dust. 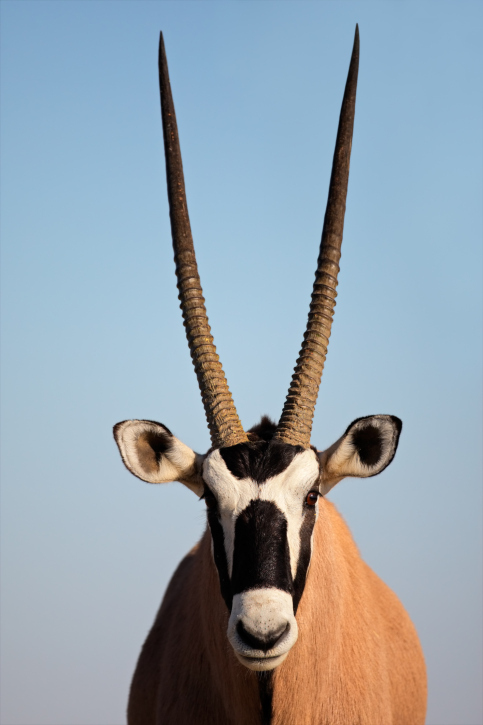 And Gertruida, who looks up at that moment, sees the Gemsbok on the rise beyond the little graveyard. It is a magnificent creature, seemingly standing to attention with his horns held high and his many-coloured coat shining in the sun. And if you asked her, she’d say she was sure that he was smiling. It looked that way, even at that distance. 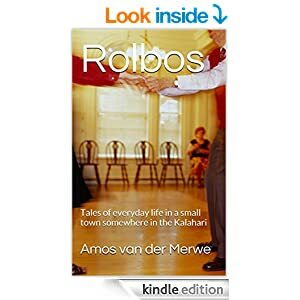 This entry was posted in short stories, smalltown short stories, Uncategorized and tagged dying, eternity, favourite smell, heaven, near death experience, postaday, WPLongform on July 18, 2014 by Amos van der Merwe. Ai, this is so beautifully written. Sad, as Oom Ben’s passing reminds me so much of my mothers last days, and a lot of my thoughts these last few weeks have been around her. I believe that Psalm 23, though she never said it out loud, was one of her favourite Psalms. Thank you…yes, these sad memories are part of our lives -yet we draw strength from them, don’t we? I was about to disagree with Oom Ben about animals and souls…but then the “puppy breath” just made my eyes water. Beatifully sensitive writing, Amos. Thank you, Huggs. Yes, I think Oom Ben had just enough time to change his mind, don’t you? By the grace of God, yes. Dis een van my Ladysmith BM gunstelinge! Hulle kan darem sing, daai ouens!